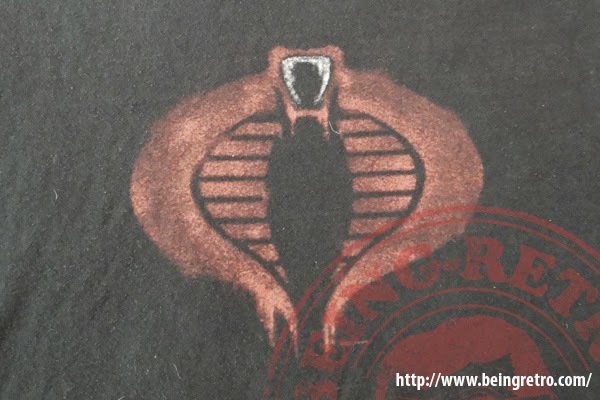 Being Retro: Summer of the T-SHIRTS... Snakes, Why did it have to be snakes? Summer of the T-SHIRTS... Snakes, Why did it have to be snakes? So I have been catching up on life a little more than I once thought I would, so for the next month or two I will be playing catch up. What does that mean, well that means I will be working in the background trying to get caught up on those things I missed since my fall and break in February that caused me to get far behind in my posts. So you are going to share in my "T-SHIRT" collection, shirts I have from around the world... things I wear and things I shouldn't. Well this is what my wife says and I am forced to believe her as you know some of these shirts have reached a point of no return. Some should hit the trash and some just because I am over 45 years old, I just cannot pull off some [anymore]. You can join this too as you can see there is a link at the top just below the main header, asking you to share your favorite shirt and more. So please enjoy, see if you have one that I have... should I be wearing this or not? Also... what do you think. No worries - you'll catch up. Favorite shirt is probably one of my Rush concert shirts. Over thirty years old. And it still fits!!!!!! You're over 45 years old? That is news to me! I'll bet there are a bunch of shirts I shouldn't wear anymore, but I probably will. Except Hello Kitty. I'm wishing you a beautiful day and "Yo Joe!" Last year when the Eagles were in town I bought one of their T-shirts, before the concert started, long story short, I use it as a shoe shine rag… there's a really good blog post in this story - one day I'll have to share it. Otherwise, I have lots of cool T's (cool to me, that is). During the course of my home renovations my brother (the guy renovating it) and I would get T-shirts, hats - even gloves, from all the trade stores we went into. I have about 7 or 8 of each and sometimes, I'll put on a set and go into the trade store… people think I work there, and so I start helping them… it's too hilarious.